Replacing a recessed medicine cabinet is a fairly straightforward project, one that requires planning and only a little elbow grease. When you stumble into the bathroom in the morning, does your medicine cabinet look as tired as you feel? Maybe it’s time for an upgrade. Fortunately, replacing a recessed medicine cabinet is a fairly simple project, as long as you choose a new cabinet that fits the existing opening. To get an accurate measurement, remove the cabinet door, then unscrew the cabinet from the framing. Measure the height and width of the cavity, as well as the available depth. 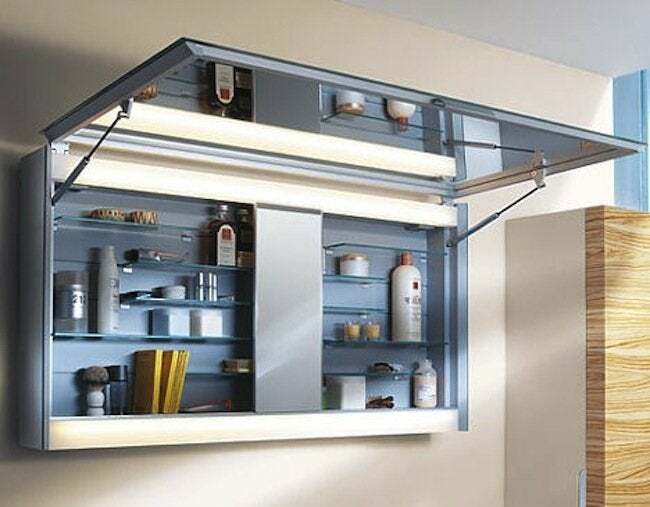 If you’d like a cabinet with a larger or different-shaped door, be sure to measure the clearances between the opening and any obstacles, such as your light fixture or soap dish. New cabinets are often shipped with their doors packaged separately, but if yours is not, try to remove it before you begin the installation. Then fit the new cabinet in the cavity, adjusting and shimming as necessary until it’s level and plumb, with the frame flush to the wallboard. Drill screws through the holes on the inside of the cabinet to secure it to the framing. If there are gaps between the frame and the wallboard, apply a thin bead of caulk. Let it dry before you reattach the door.